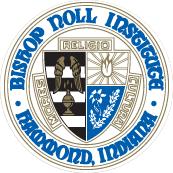 Tuition at Bishop Noll is based upon residency and Catholic affiliation. Families who reside within the Diocese of Gary and who are practicing Catholics receive the lowest tuition option possible provided they return a completed Parish Certificate form. All others pay the same, non-discounted tuition. In all cases, a $200 discount is applied if tuition is paid in full by August 1. Semester and monthly payment plans are available. There is $200 non-refundable registration fee per family. After June 1, the nonrefundable registration fee is $300 for returning families and $200 for new students. A discount of $1,000 is given to families with two children enrolled at Bishop Noll (a $50 monthly discount will be applied to each of the children's accounts). Families with three siblings in the same household attending Bishop Noll will receive a significant discount. The monthly rate for families with three children is $1,762.50 (or $1,651.50 with Diocesan discount). This discount does not apply to fees or fundraising. Click here for a PowerPoint presentation about financial aid. Haga clic aquí nformación sobre ayuda financiera. Families that Do NOT belong to a parish in the Diocese of Gary should apply for financial aid by clicking here. The deadline for the application is April 15. Your Tuition Solution.com provides loans for education. All students are required to wear the school uniform. The summer uniform is worn in August, September, April, May, and June. The winter uniform is worn from October until March. The summer uniform is a navy polo shirt with khacki shorts. An average cost is $45. The winter uniform consists of dress pants, white dress shirt, school tie, and school sweater or sweater vest. An average cost is $125. Uniforms are purchased through Dennis Uniform Manufacturing Company, 8345 Indianapolis Blvd. in Highland. Visit www.dennisuniform.com. Students are assessed a book rental fee, which is included in tuition. AP and ACP courses have additional textbook fees. The Parents Club at Bishop Noll Institute seeks to engage all parents with the administration to become full partners in their child's education by nurturing a spirit of service in addition to academic excellence which develops and strengthens one Catholic community as a whole. All parents are considered members of the Parents Club. The fee is $10 per student. Students are assessed $250 per year to cover the cost of updating and maintaining hardware and software, including paper and ink. Several courses charge additional fees for materials/supplies. Examples are Art, Newspaper, and AP/ACP courses. All students participating in IHSAA-sanctioned athletic programs are assessed the following fees: $150 per sport played by the student. This fee is now incorporated into the tuition cost. All families are required to volunteer 15 hours of service to the school. If you cannot complete this requirement you will be invoiced $255. All students are billed $400 in fundraising fees. You may choose to sell Fall Raffle tickets in order to offset this fee. Click here for more information about the Fall Raffle. Graduation fees for seniors are $200. This includes cap and gown, 10 graduation announcements, 25 name cards, one 8” X 10” photo, diploma with cover, miniature diploma, and other expenses involved with graduation. This fee must be paid by graduating seniors with the final tuition payment by the due date indicated on the invoice received of the current school year.